The cost of renting office space in Denver has become increasingly expensive over the past few years. Back in 2016, rent in both the downtown and DTC areas were at record numbers, and a steady increase in both supply and demand have kept prices at a steady incline. Many businesses, from tech startups to national insurance companies, have taken steps to purchase their office space in Denver. 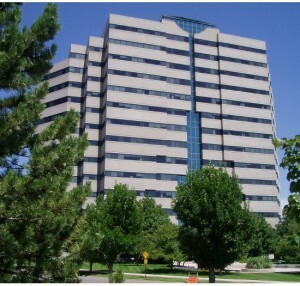 Buying office space for sale in Denver can be a smart business decision when you work closely with a knowledgeable commercial property broker. Denver Commercial Properties works with both real estate leaders and first-time buyers to find the ideal property in the metro area. Investment in commercial property is a major business decision. It’s a considerable expense made even more significant if you decide to purchase, rather than lease the space. However, office space for sale in DTC or downtown Denver can lead to large returns on your investment; provided, you secure the right property. Purchasing office space is the better option for those businesses that plan to occupy the space for a considerable period of time. In the first seven years of occupancy, it’s most cost-effective to lease office space than purchase it. But from this point and onwards, ownership is more attractive. The rate of return on purchasing commercial property increases simultaneously with the length of ownership. If your business is interested in a long-term return, with as much as an 85% cost savings by year 15 of occupancy, then purchasing office space is the better choice. Purchasing commercial space in Denver, irrespective of whether that is retail space, an office building, or industrial property, also allows for the potential to receive passive income from rent. The majority of office space in the Denver area is leased. Property management companies and investors hold the majority of this property, but a growing number of businesses are choosing to purchase their space and lease what they don’t occupy. As commercial rent continues to climb in Denver, this could allow for a large passive income and good business opportunity. However, if your core business is not in commercial real estate. The Denver commercial property market and necessary considerations for making a purchase are unknown to your company, which means you need Denver Commercial Properties. We work with some of the industry leaders in Denver’s property market, but we also assist other businesses to make informed strategic investments. Owning office space provides your business with more control over the property. Most commercial leases, in particular, those for office and retail space include terms that allow the landlord entry in certain situations and the right to control common areas. This causes consternation for certain companies, which is alleviated by full ownership of the office building. Additionally, certain design and build-out decisions are reserved to the landlord when leasing. As a commercial tenant in Denver office space, a company has an obligation to return the property in the same condition as it was leased. This leads to restrictions on improvements, new fixtures and equipment, and changing the layout or floor plans. This could hinder your business development or growth. Full ownership of the office space allows companies to make better decisions about how their space is utilized and designed. Denver Commercial Properties is a boutique brokerage, working across several sectors of the commercial real estate in the metro area. Our brokers have extensive experience in retail, industrial, office, and multi-family properties in Denver, and also provide an expert representation of clients interested in purchasing and developing land for sale in Denver. Over three generations, we’ve built a strong reputation for personal and intelligent brokerage services that stay focused on the Denver market. To work with us in metro Denver, contact us via phone, email or online here.